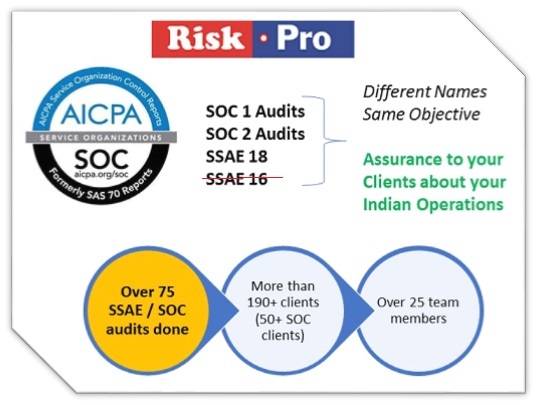 Riskpro has been providing SSAE 16/ now SSAE 18 and other information security services for over two years. Here are some of the major benefits our clients are experiencing. The information security and cyber security related controls will evolve and improve as the underlying risk culture is developed. There is a constant external audit pressure which ensures that your controls are working at all times.